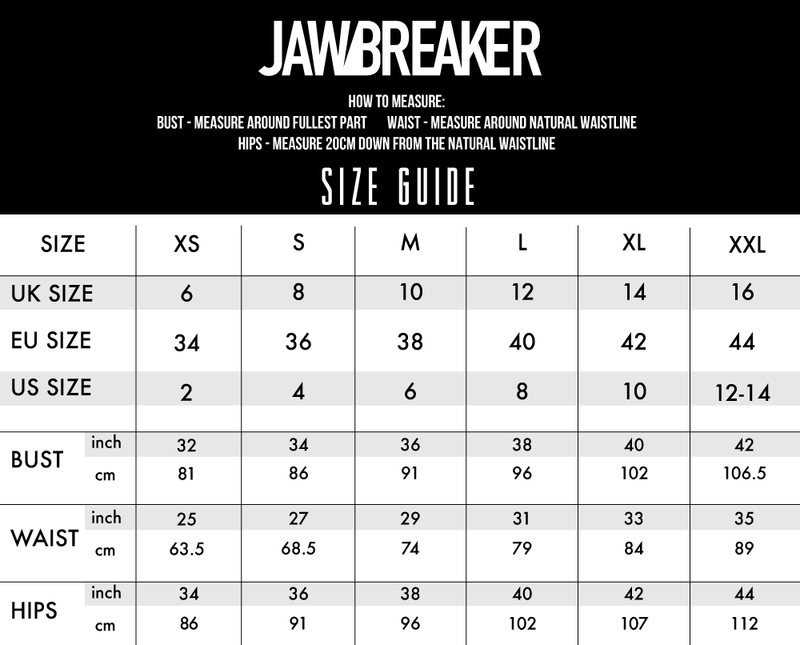 Although we can appreciate hard rock, when it comes to our fashion tastes we’re more skulls and roses than guns and roses here at Jawbreaker. And boy do we do it well. 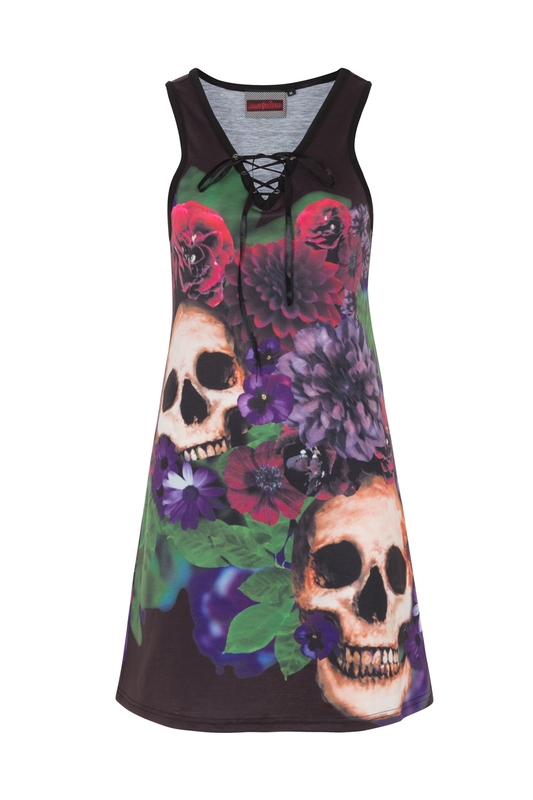 Our Dark Floral Tunic Dress is a gorgeous combination of delicately beautiful floral patterns and sketched skulls, flawlessly put together to make the perfect summer dress: alternative style! Love the Print? So do we! 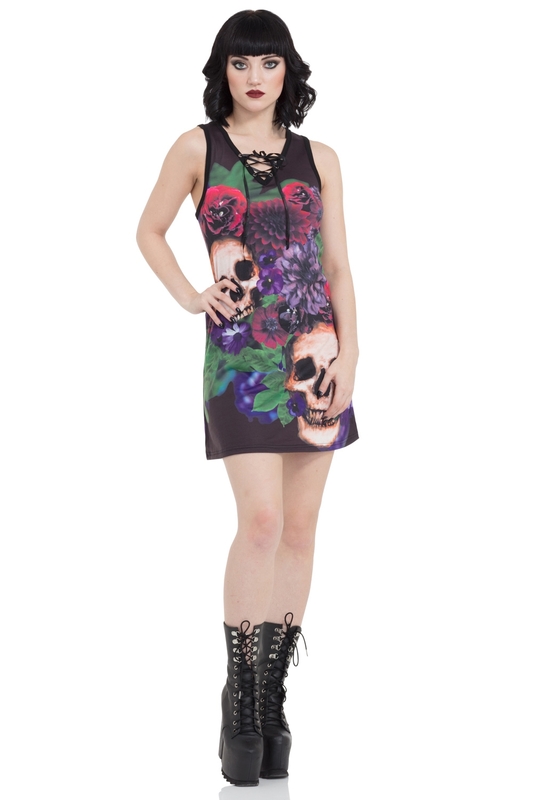 That’s why this amazing print is also available in a skater style!